Since 17 years of dictatorship the terror and unbreakable record of unhumanity in The Gambia has to be stopped. No fair legal court trials, no freedom of speech and no development but for the despot himself. While Gambias economic situation is as bad as never before, Yaya Jammeh reached the top of the list of the richest Presidents in Africa. Uncountable people vanished in a mysterious manner and never got cleared. Journalists has been killed and never anybody has been taken to responsibility for it. Most recent example of the terror regime: in August he started executing those who'm were judged in unfair trials for death sentences. The madness has finally to be stopped! 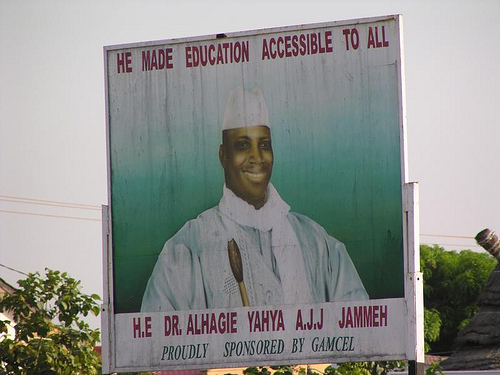 President Yaya Jammeh has to resign and be taken to Den Haague. His wealth has to return to the proper owners - the people of The Gambia. Petition in "The Gambia Echo"